Real-time chassis tracking, monitoring and control is proven to enable better business planning, streamline operations, minimize theft, improve preventative maintenance and repair, and enhance customer service. With so much at stake, why are so many companies hesitant to adopt telematics technology for their chassis fleet operations? When put into those simple terms, outfitting a fleet of chassis may sound like a no-brainer, but there are many perceived barriers to entry that could prevent companies from doing so. For companies looking to deploy a telematics solution to manage their chassis fleet, procurement becomes a potentially complicated and expensive process. Barriers to entry include cost, difficulty in understanding the technology and lack of quality customer support. This often results in fragmentation that prevents or impedes the process, often causing unnecessary technical challenges and unexpected expenses, which is even more problematic in an industry with paper-thin margins. But having a comprehensive, reliable solution in place from one, experienced provider helps companies mitigate the multiple risks involved with leaving your assets unprotected. Optimizing chassis operations without readily accessible data is a complicated process that requires a great deal of manual effort. Even then, it’s near impossible to achieve maximum efficiency. When chassis are in dwell time, it means they are not on the road making money. Telematics solutions can keep you up-to-date how long an asset has been sitting unused and alert you in real-time when it has been sitting too long. Having either too many or not enough chassis distributed to a single geographical area reduces efficiency and increases costs. Moving chassis to a new location to re-balance your fleet requires labor, money and time. Additionally, the wrong chassis sent from the yard due to human error results in added costs and potential asset loss. Real-time data brings complete visibility to your chassis fleet, allowing for better planning and more effective utilization. The shipping industry in general has long been plagued by misuse of assets. Customers may not be taking proper care of your chassis, or improperly storing them in outside yards that put them at increased risk. If and when those chassis go missing, they must be written off for a loss. Alternately, drivers may be using your chassis for unauthorized runs, or your chassis disappears when passed to another driver at an international border. 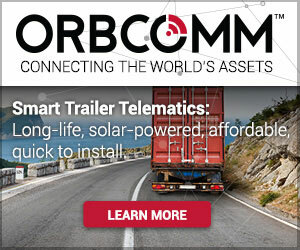 The right telematics solution can mitigate the risk of asset misuse almost entirely by tracking the whereabouts and location history of your chassis. Data obtained through manual processes is likely not 100% accurate and is often outdated, hampering efficiency and putting companies who have been slow to adopt telematics technology behind the competition. On the flip side, companies that have implemented a good tracking solution are experiencing enhanced visibility into freight management operations, resulting in more accurate on-time deliveries, ETAs and in-route location updates for better customer service and satisfaction. 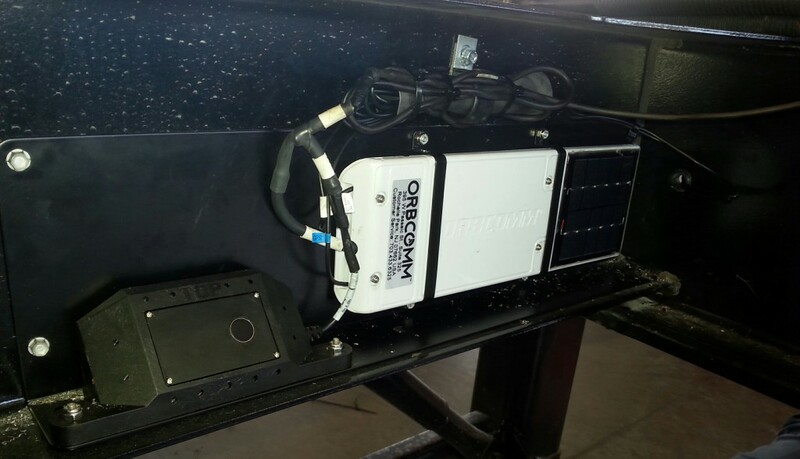 ORBCOMM’s GT 1100-CTS is designed specifically for chassis tracking and features ORBCOMM’s GT 1100 device combined with its PS 100 proximity sensor and custom mounting bracket. The biggest upside of adopting a good tracking solution is real-time visibility into where your chassis are and whether they are in use or not, which in turn improves operational efficiency, asset utilization and maintenance costs. Put simply, telematics helps you deploy your chassis more strategically and get them back quicker when they are not in use. 1 Pings/Trackbacks for "Chassis Tracking: 4 Ways Lack of Fleet Visibility is Costing You Money"